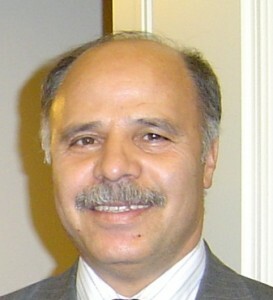 Dr. Mosavi-Jarrahi received his Ph.D. in epidemiology from the University of Texas in 1996. Upon graduation, He began his post-doctoral research at the University of Texas Health Science Center. In 1998, he joined the Cancer Institute in Tehran, Iran, working as a research associate and at the same time he received a joint appointment as an assistant professor at the Medical School, Shahid Beheshti University of Medical Sciences Tehran, Iran. In 2011, he joined the Faculty of Health Sciences (FHS), Simon Fraser University as an adjunct professor of epidemiology. He has published more than 60 papers in peer-reviewed journals and received several grants from different funding agencies such as Terry Fox Foundation (international), World Health Organization. He is a founding member of the Iranian Epidemiological Association and served as its first general secretary for two terms. He is a member of several scientific journals’ editorial board. In July 2016, he was appointed as the Editor-in-Chief of the Asia Pacific Journal of Cancer Prevention. In April 2018, Dr. Mosavi jarrah was appointed as the President of Asian Pacific Organization for Cancer Prevention (APOCP) for a duration of two years.